Lifecycle and hormonal changes can affect the distribution of color (melanin) in our skin, leading to the appearance of sun spots, age spots, or melasma- a dark, patchy facial discoloration condition.Alma’s light-based and laser treatments remove the appearance of spots and pigmentation by targeting the melanin in the darkened area, clearing all layers of the pigmentation and revealing even-toned, unblemished skin. Rosacea is a condition involving the face that results in a ‘blush’ or redness and progresses from intermittent to consistent. It is associated with prominent blood vessels, open pores and skin eruption similar to acne. This treatment is not suitable for darker skin tones, Skin Types IV, V or VI. Intense pulsed light (IPL) is broadband light and delivers hundreds of wavelengths (or colours) in a single discharge. 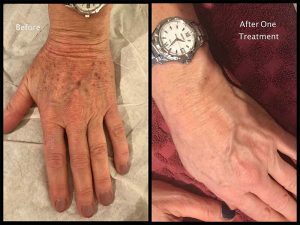 IPL are able to specifically target blood (haemoglobin) in the skin without damaging surrounding tissues. The light energy is absorbed by blood inside the veins, heating up the vessel wall, which collapses and then dissolves. IPL is more suitable for large areas of diffuse redness or fine ‘blushes’ of vessels. Treatment requirements will vary depending on the individual. 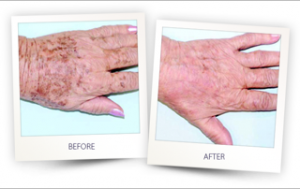 Sometimes just one treatment is enough to achieve results desired for age/sun spots but sometimes more are required. 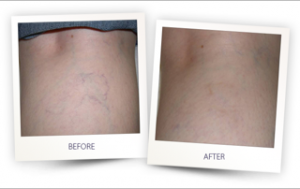 A series of 3-6 treatments is recommended for facial veins. All pigmented lesions contain melanin, it conveys colour to hair and skin and functions to protect the skin from sun exposure (ultraviolet radiation). The quantity of melanin in the skin is increased by sunlight, resulting in the process known as tanning. 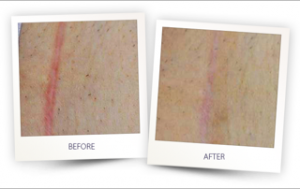 Lasers are effectively used for the treatment of pigmented lesions because they can selectively damage or destroy the darker area with little or no damage to the surrounding skin. 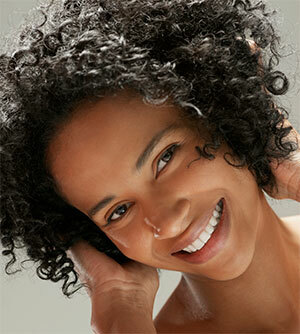 Laser light is absorbed by the pigment melanin, where it is converted into heat causing break-up of the darker areas. Laser light is absorbed by the pigment melanin, where it is converted to heat causing break-up of the darker areas. 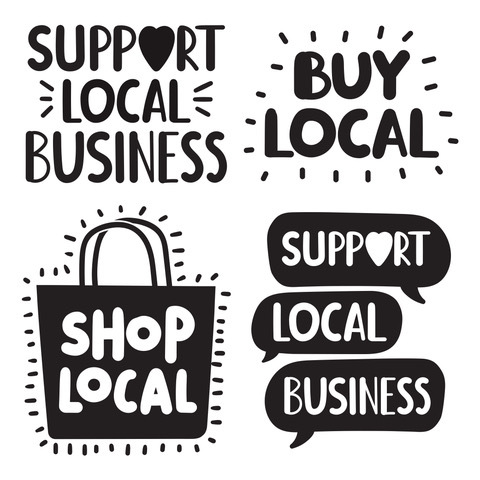 Because only the darker area is precisely targeted by the laser the surrounding areas are not harmed. We do not treat pigment problems on darker skin types due to the high risk of hypopigmentation (lightening of the skin’s complexion).Treatments are limited to lighter skin types I-III. The energy is delivered in very short flashes of laser light called pulses. As the laser light pulses impact onto the skin’s surface the sensation is similar to the snap of a thin rubber band. The procedure only produces mild discomfort. ARE THERE ANY AFTER-EFFECTS FOLLOWING THE TREATMENT? Within 5-10 minutes of treatment, mild redness (erythema), mild swelling (oedema) and darkening of the lesion (hyperpigmentation) will be evident around the treated lesions. The mild redness and swelling may be evident for several hours, it is similar to sunburn and usually does not interfere with daily activities. There is usually no blistering or bruising. The lesion will continue to darken and exfoliate for several weeks. WHAT TYPE OF POST-TREATMENT SKIN CARE IS NECESSARY? Following and throughout the course of laser treatment, the treated skin is sensitized to sunlight. It is essential that a broad spectrum (UVA/UVB) sunscreen SPF 30 or greater is used daily. Throughout life, acne has physically and emotionally scarred millions. It is the most common skin condition with an incidence of over 90% in adolescents. Acne may however appear for the first time in the mid twenties, or even later, and persist in a significant number of people into their forties or even fifties. Lasers emit high energy at one specific wavelength (or colour) in a single beam of light. Intense pulsed light (IPL) is broadband light energy that delivers hundreds of wavelengths (or colours) in a single discharge. This light is passed through filters to produce blue light at wavelengths 420-950nm. 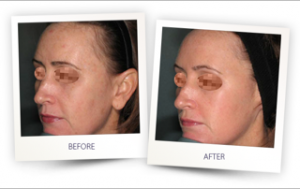 The advantage of blue light IPL is it enables very large areas to be treated quickly, safely and effectively. The blue light kills the acne bacteria (P.Acnes) that cause the infection leading to spots. The blue light gently heats up the skin around the spots, producing collagen that boosts the healing process causing the spots to disappear. A series of 6-8 treatments are recommended over a 4 week period. Following this, it is envisaged that further ‘top up’ treatments may be required. In rare cases redness and irritation of the treated area may occur (like sunburn). There is also a small risk of pigment change following treatment. A small minority of patients develop bruising and blistering. This settles within a few days.